Feed your body with Vitamin Code™ 50 & Wiser Women’s Formula, a comprehensive multi-nutrient formula specifically designed to meet unique needs of women age 50 and older. Vitamin Code™ 50 & Wiser Women’s Formula contains RAW Food-Created Nutrients™, providing targeted delivery of essential vitamins and minerals for extraordinary health and vitality. You only get one body, so feed it nutrients as nature intended. Directions: Adults take 4 capsules daily. Best when taken 2 capsules twice a day. May be taken with or without food. Capsules can be opened. Contents can be taken directly with water or raw juices. Not intended for children. Warnings: As with any dietary supplement, consult your healthcare practitioner before using this product, especially if you are pregnant, nursing, or under medical supervision. Accidental overdose of iron-containing products is a leading cause of fatal poisoning in children under 6. Keep this product out of reach of children. In case of accidental overdose, call a physician or poison control center immediately. Vitamin Code® 50 & Wiser Women's Formula is rated 4.7 out of 5 by 7. Rated 5 out of 5 by Anonymous from Vitamin Code Womens So far, so good! Like everything in one Supplement! 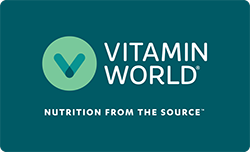 Rated 5 out of 5 by 1965 from Excellent vitamins I have tried many vitamins and many stores in the last 20 years and Vitamin World and Garden of Life have far exceeded my expectations! Rated 3 out of 5 by Rita from Not sure how to rate this item. Im impressed but my hair fell out constantly while taking it. I dont know if it affected my thyroid med. I had to stop My hair fell iut while using this product. Rated 5 out of 5 by PW122 from Amazing product Contains all the essential vitamins and minerals required for my age category, organically processed w/o fillers. Rated 5 out of 5 by socabag49 from Excellent Product Since I've started using this vitamin about 6 months ago, It has assisted my health very positively. Rated 5 out of 5 by roadrunner69 from Awesome Product Garden of life is a great product especially the 50 & Wiser Women's vitamin. Have used products for years and works for me.